New guidelines from the American College of Cardiology and the American Heart Association Task Force released in November 2017 move the goalpost closer for the definition of hypertension. Let’s run through what to keep in mind when developing training and communications related to this new and important guidance. The first comprehensive update in 15 years, the new guidelines set the definition for hypertension as a systolic/diastolic blood pressure 130/80 mm Hg or higher, instead of the previous standard of 140/90 mm Hg (see table).1 The change greatly expands the number of people with the diagnosis. The new hypertension guidelines were driven by the impressive results of the large, federally funded Systolic Blood Pressure (SBP) Intervention Trial, dubbed SPRINT.2 In the trial, over 9,000 nondiabetic subjects 50 years of age or older with an average SBP of 140 mm Hg received either intensive therapy to reach a target SBP of 120 mm Hg or standard therapy to reach a target SBP of 140 mm Hg. The most newsworthy finding of the SPRINT study was that the intensive-therapy group experienced a 25% yearly relative risk reduction in cardiovascular events, such as heart attack, stroke, heart failure, or death from cardiovascular cause. Although a 25% reduction is impressive, a little perspective is necessary here. Over the 3-year duration of the study, few participants in either treatment group experienced cardiovascular events―about 7% in the standard-treatment group and 5% in the intensive-treatment group, reflecting an absolute difference of 2% overall. This absolute difference, although clinically meaningful, is not quite as eye-popping as the 25% yearly relative reduction heralded. The new guidelines are a compromise between previous blood pressure goals and the much more aggressive SBP goals supported by the SPRINT findings. The resulting middle-ground definition of hypertension as 130/80 mm Hg or higher reflects a more realistic expectation of what might be achieved in a clinical practice environment versus a tightly controlled clinical trial setting. How will the new guidelines affect patients? The new guidelines also offer a revised and updated approach to hypertension management that emphasizes lifestyle modification and a risk-based approach to drug treatment. For those patients with Stage 1 hypertension―that is, a SBP/DBP of 130/80 mm Hg or higher―treatment under the new guidelines depends on the patient’s risk. For example, if a person has risk factors for heart disease, such as a positive family history and high cholesterol or diabetes, antihypertensive medications should be initiated immediately in addition to lifestyle modification. Will PCPs “buy in” to the new treatment paradigm? Consulting an online calculator to determine the patient’s 10-year risk for cardiovascular events. If that risk is at least 10%, the guidelines advocate the use of antihypertensive medication if the patient’s blood pressure reaches the new definition for hypertension. Determining “accurate” blood pressure measurement. The guidelines emphasize that the decision on whether to implement drug treatment should not be based on a single blood pressure reading; instead, several standardized readings taken either in the physician’s office or at home by the patient should be considered. When developing trainings or communications focused on the new guidelines, be sure to examine what drove the current change in medical thinking about high blood pressure as well as how these changes might impact the patient and the healthcare provider communities. In doing so, you’ll provide your audience not only with a thorough knowledge of the current state of blood pressure management, but also a good sense of the issues related to these guidelines that will become increasingly important in the months and years ahead. Whelton PK, Carey RM. The 2017 clinical practice guideline for high blood pressure. JAMA. 2017;318(21):2073-2074. doi: 10.1001/jama.2017.18209. SPRINT Research Group, Wright JT Jr, Williamson JD, Whelton PK, et al. A randomized trial of intensive versus standard blood-pressure control. N Engl J Med. 2015;373(22):2103-16. doi: 10.1056/NEJMoa1511939. Marchione M. Half of U.S. adults might have high blood pressure in new guidelines. STAT. https://www.statnews.com/2017/11/13/high-blood-pressure/. Published November 13, 2017. Accessed January 19, 2018. Berg S. New BP guideline: five things physicians should know. AMA Wire. https://wire.ama-assn.org/delivering-care/new-bp-guideline-5-things-physicians-should-know. Published November 13, 2017. Accessed January 19, 2018. 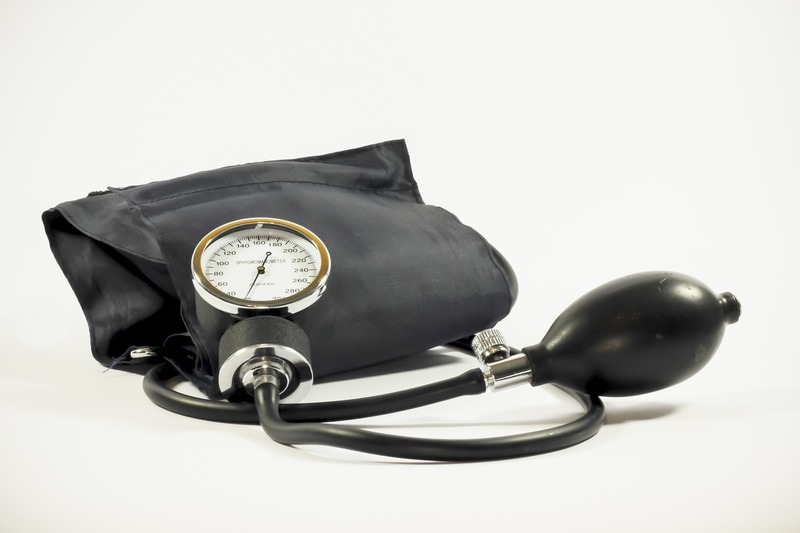 Phend C. Hypertension guide revision raises concerns for primary care. MedPage Today. https://www.medpagetoday.com/cardiology/hypertension/69651. Published December 4, 2017. Accessed January 19, 2018. Markovitz AA, Mack JA, Nallamothu BK, Ayanian JZ, Ryan AM. Incremental effects of antihypertensive drugs: instrumental variable analysis. BMJ. 2017;359:j5542. doi: 10.1136/bmj.j5542.